The Victoria Falls Hotel is the original colonial hotel of Victoria Falls and after recent refurbishments is more beautiful than ever. The a'Zambezi River Lodge is a mere 5 kms from the rainforest at Victoria Falls and close to all the amenities that the small town centre offers, but it has the added advantage of being the only hotel on the Zimbabwe side of the Victoria Falls to lie on the banks of the Zambezi River. Includes: Return ex Johannesburg to Livingstone on BA Comair, airport taxes, return road transfers from Livingstone airport to aZambezi and 3 nights accommodation on a bed and breakfast basis. The 2 best known hotels in Victoria Falls deal. Walk to Victoria Falls from the Kingdom Hotel or relax, play golf from the Elephant Hills resort. Includes: Return flights Johannesburg to Livingstone on BA Comair, airport taxes, return airport transfers from Livingstone airport to the hotel, 3 nights accommodation in a standard room and breakfast daily. 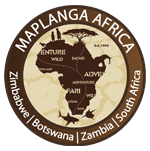 Some of the best camps, in the best Okavango locations on offer. Quite simply an amazing special for South Africans. Includes: Flights ex Johannesburg, airport taxes, 3 nights accommodation in a classic camp on a full board basis, twice daily scheduled camp activities, local drinks, laundry and park fees. The Old Drift - Old Drift lies 7 kms from Victoria Falls within the Zambezi National Park. Enjoy luxury accommodation and amazing views over the Zambezi River and a busy water frequented by elephant, buffalo, herds of sable, eland, zebra, giraffe, kudu, waterbuck and impala. Includes: Return flights from Johannesburg, airport taxes, airport transfers and 2 nights accommodation on a fully inclusive basis. All the rooms at the 4 star David Livingstone Hotel have views over the Zambezi River. This excellent value SADC package includes a whole of 'extras'. Go on, treat yourself! Complimentary shuttle service to the Victoria Falls rainforest. Victoria Falls and Hwange are two of Zimbabwe's best known attractions. You cant go wrong with a stay at the only hotel on the river a'Zambezi River Lodge plus a safari at Davisons Camp in Hwange. Includes: Return flights ex Johannesburg, airport taxes, return light aircraft and airport road transfers, 1 nights accommodation in a standard room at the a'Zambezi River Lodge on a bed and breakfast basis, Zambezi River Cruise, road transfer from Victoria Falls hotel to The Hide, 3 nights at Davisons Camp inclusive of all meals, local drinks, twice daily scheduled camp activities, park fees and laundry. An idyllic place of relaxation where guests can enjoy Edwardian old-world elegance and the natural heritage of the Zambezi River and Victoria Falls. Includes: Return flights from Johannesburg, airport taxes, airport transfers, 2 nights accommodation on a full board basis and in house activities. Kosher food on request at an additional cost. Wildtrack Safaris Eco Lodge is a private and exclusive lodge that borders onto Hwange National Park. Botswana's game rich Chobe National Park is only an hour from the lodge, making it possible to explore the reserve and the Chobe River. Includes: Return flights from Johannesburg, airport taxes, airport transfers and 3 nights accommodation on a fully inclusive basis. Includes daily wildlife activities plus a Chobe day trip with drive and river cruise. Includes: Return flights ex Johannesburg to Maun, airport taxes, return light aircraft flights, 3 nights accommodation on a full board basis, local drinks, laundry, park fees and twice daily scheduled camp activities. Davisons Camp is in one of Hwange's best concessions - get it at an amazing affordable SADC price. Includes: Return flights Johannesburg to Victoria Falls on BA Comair, airport taxes, light aircraft flights between Victoria Falls and Hwange, all meals, accommodation on a full board basis, including twice daily scheduled camp activities, local drinks, laundry and park fees. Cruise along the Chobe in luxury aboard the Zambezi Queen. Excellent game viewing, superb fishing, sublime food. What more could you want? Includes: Return flights ex Johannesburg, airport taxes, transfers from/to Livingstone airport & Kasane Immigration, 14% VAT and tourism levy, all meals, all soft drinks, mineral water, tea and coffee, quality wines and beers with meals and during game viewing activities, water-based game viewing and bird watching on tender boats, a land-based cultural tour of a local village, tiger & bream fishing. Savuti Camp is an intimate camp located in the game rich Linyanti Concession along the Savute channel. Includes: Flights from Johannesburg, airport taxes, 3 nights accommodation in a classic camp on a full board basis, twice daily scheduled camp activities, local drinks, laundry and park fees. This luxury tented camp with views of the Vic Falls spray and bushveld is the perfect place for a romantic getaway. R14,776: 11 Jan 2019 – 31 Mar 2019 Closed 28 January - 28 February. Includes: Return ex Johannesburg to Victoria Falls on BA Comair, airport taxes, return road transfers from Victoria Falls airport to Elephant Camp, 2 nights accommodation, all meals, local brand drinks & house wines, complimentary mini bars in the rooms, two transfers to Victoria Falls town per day, in house activities : meet the Wild Horizons elephants, sundowners at the Batoka Gorge, birding and nature walks on the concession, lunch at the Lookout Cafe - on request (Including drinks), and 1 luxury Zambezi River cruise. Park fees of $10 pp are payable direct. Ruckomechi Camp lies in the heart of Mana Pools National Park. Discover this remote and beautiful place from the comfort of this beautiful camp. Includes: Return flights ex Johannesburg - Victoria Falls on BA Comair, airport taxes on the above flight, light aircraft flights between Victoria Falls and Mana Pools on Wilderness Air, 4 nights accommodation, all meals, local drinks, twice daily scheduled activities including canoeing safaris, game drives, safari walks and boat cruises, park feesand laundry. Includes: Return flights ex Johannesburg to Windhoek, light aircraft flights Windhoek to Sossusvlei, airport taxes, all meals, twice daily scheduled camp activities, laundry, park fees, all local drinks (premium imported brands excluded)and Namibian VAT and Tourism Levy. Two great destinations at an excellent price. See the amazing Victoria Falls and outstanding wildlife in Chobe. Includes: Return ex Johannesburg to Livingstone, airport taxes, transfers to/from Livingstone airport, road transfers between a'Zambezi River Lodge and Chobe Safari Lodge, 3 nights accommodation at a'Zambezi River Lodge - bed and breakfast and a sundowner cruise, 2 nights accommodation at Chobe Safari Lodge - 2x breakfasts , 2x dinners, 1x boat cruise and 1x game drive, 1 x park fees. Includes: Return flights ex Johannesburg to Livingstone, airport taxes, return road transfers from Livingstone airport to Imbabala, 3 nights accommodation, daily scheduled activities, all meals and drinks on game activities. Includes: Return flights ex Johannesburg, airport taxes, return transfers Livingstone airport to hotel, 3 nights accommodation in a standard room and breakfast daily. Includes: Return flights ex Johannesburg, airport taxes, return road/boat airport transfers from Kasane, 4 nights accommodation aboard the Shamwari houseboat, all meals, use of the tender boats for fishing at game viewing activities and fuel for tender boats (up to 25L per day per boat). Newly privatised Robins Camp has been brought back to life and offers mid-range accommodation in a beautiful location. The camp is situated in the rugged northern Basalt area of Hwange National Park, an area rich in natural water with seeps and springs dotting the area. It is the home to some of the last great buffalo herds in Africa, with herds of over 2000 still seen. Includes: Return flights from Johannesburg, airport taxes, airport transfers, 3 nights accommodation on a full board basis and two wildlife activities per day. This is the place to be if your family or group of friends likes a private space to call your own. Try this family friendly option which includes a huge amount of extras! Includes: Return flights ex Johannesburg, airport taxes, return airport transfers, 3 nights accommodation in a 2 bedroomed safari suite, breakfast daily, zambezi sunset cruise *excludes US$ 10pp park fee. Small and intimate Little Makalolo is a jewel of a lodge set in a magnificent private area of Hwange National Park. Victoria Falls River Lodge is the epitome of modern safari chic. Located within the Zambezi National Park, Victoria Falls River Lodge is close enough to town to see the spray of the Falls during high water season yet it's position within the national park affords guests the chance to enjoy a wildlife safari experience. package to Sekoma Island Lodge to make your dream come true. Rovos Rail offers train journeys like no other in Africa - elegant, grand and in keeping with the style of a bygone era is a perfect accompaniment to a stay at the Victoria Falls Hotel. Includes: 3 Nights accommodation on the Rovos Rail in a Pullman suite, all meals, drinks excl French Champagne, itenerary specific excursions and limited laundry. Outstanding value for South Africans and SADC countries to enjoy while fishing the legend. Includes: Return flights ex JNB, airport taxes, airport transfers, 4 nights accommodation on a full board basis, boat/guide, 20l of fuel per boat per day and fishing tackle (excl fly-fishing tackle). Includes: Return flight ex Johannesburg, return airport transfers, return road transfers from Victoria Falls Airport to Victoria Falls Hotel, 2 nights accommodation at The Victoria Falls Hotel, 1x High Tea - The Stanley Terrace, 1x Zambezi Cruise per person per stay - includes drinks & snacks, excludes park fees of $10 payable direct, road transfer from The Victoria Falls Hotel to The Hide, 3 nights accommodation at The Hide inclusive of meals, local drinks, house wine, up to 4 activites per day, teas/coffees and laundry, 2% govt levy & park fees. Discover new un-fished waters on the upper Zambezi. Includes: Return flights ex Johannesburg, airport taxes, return airport transfers, accommodation, all meals and non-alcoholic beverages, all game viewing activities (with the exception of Walking with Elephants activity at Sanctuary Stanley's Camp, laundry services and emergency medical evacuation. Situated at the confluence of the Zambezi and Chobe Rivers, Ichingo offers the discerning fisherman superb facilities, boats and guides to ensure that you catch the fish of your dreams. Luxururious Khwai River Lodge is land camp in a prolific wildlife concession. Includes: Flights from Johannesburg, airport taxes, luxury accommodation on a full board basis, twice daily scheduled camp activities, local drinks, laundry and park fees. Eagle Island - a luxury Okavango water camp in a private wildlife concession.